In the early 1900s entertainment could be difficult to come by unless you lived in one of the more populous parts of the country. As a result, traveling entertainers—musicians, theater groups, and performers of any other type imaginable—thrived, bringing their craft and welcome diversion to the many places too small to have their own pools of talent. To accommodate and attract these performers, towns across the country built beautiful theaters. Because these were the days before amplification the theaters had to acoustically good enough so that someone speaking or singing on the stage could be heard in every seat. Many of these beautiful theaters have been preserved and are still active today, and one of the joys of traveling around the country doing what we do is the opportunity to perform in them. The historic Poncan Theatre from the street. View of the stage during sound check from the top of the balcony. The acoustics were so wonderful that we stepped in front of the mics to sing “Blue Prairie” from the edge of the stage. A peek at some of the architectural details inside the theatre. 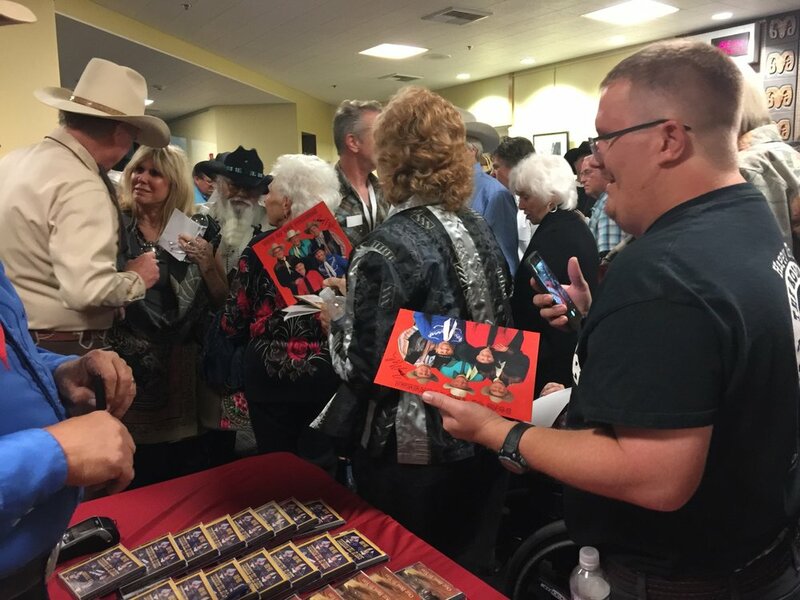 As always we enjoyed meeting the folks after the show. In November we travelled to Ponca City, Oklahoma to play at the historic Poncan Theatre. The Poncan was built in 1927 and immediately began to host the great performers of the day—Will Rogers, Ethel Barrymore, John Phillips Sousa, and Sally Rand to name just a few. Over the decades it hosted many different types of entertainment, but also began to show its age. 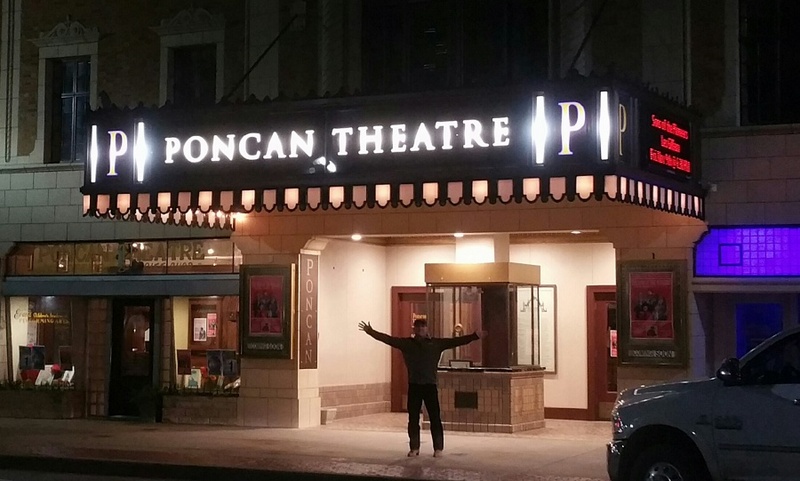 In 1990 the community began to rally to save and restore the theater, and the dream was realized in 1994 when the Poncan held its grand reopening. Today it provides a venue to many community focused performance organizations and holds a well-deserved place on the National Register of Historic Places. It’s also a wonderful place to perform, particularly for a band like the Sons of the Pioneers, who have such as strong tie to the history of Western music. You can feel the years of great music in the beautifully restored interior. The acoustics are so good that in the second set we stepped out in front of the mics and sang the iconic Pioneers song “Blue Prairie” from the edge of the stage. You could hear every note and every nuance in every seat in the house, and we were just as spellbound as the audience. We love doing what we do—traveling around the country doing what we love and connecting with people through our music. Being able to do it places like the historic Poncan Theatre make it even more special for us.